I’m Vanessa, a Pinterest marketing strategist for creatives! 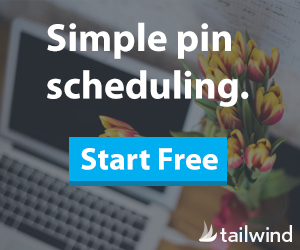 If you’ve been daydreaming of using Pinterest to drive traffic to your website, generating client leads and sales while you sleep, then I’m here to help! As a Pinterest consultant and educator, I help creative small businesses like you craft traffic-generating Pinterest marketing strategies so that you can get back to your unique creative work! I’ve worked with clients who have over 10 million views and those just starting out, so I know what strategies work. I also know you are feeling stuck, confused, and frustrated by using Pinterest, wondering if you have time to babysit another platform. As a mama to three small children, I know how valuable time is! I aim to teach you how to use Pinterest so that you can feel confident that your pins are optimized for clicks and know exactly what to do when you hit publish on a post. Let’s make that dream a reality! On my blog, you’ll find actionable tips and strategies to implement on your developing Pinterest strategy. Are you a beginner? Explore my Getting Started on Pinterest series. Also, hear all about my visit at Pinterest Headquarters and what I learned! Interested in hosting me to talk about Pinterest at your live or online conference? Reach out at hello (at) vanessakynes (dot) com. My order: An Americano with lots of room for cream. What will you have? I am married to a professor whose career has taken us all over the world. We lived in the UK for six years and our time navigating life away from family and raising small children overseas taught me a few things that translate well for an online business. One, you can always learn something new and two, experiences are more important than things. As a homeschooling mama to three, I want to be intentional in my children’s lives. Managing an online business, with the support of my husband, gives me the mobility I desire to explore as a family and choices with my time to live life intentionally. My heart for this website is to serve you! Do you have any questions for me? I’d love to hear from you at hello (at) vanessakynes (dot) com. Want to get started? Subscribe to my newsletter and get my FREE Pinterest Start-Up guide in your inbox!